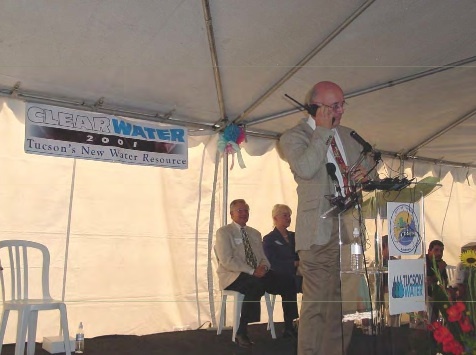 November 4, 1992: Tucson Starts Direct Delivery of Central Arizona Project Water Supply. Corrosive water destroying pipes in a major American city preceded the events in Flint, Michigan by over two decades. On November 4, 1992, the water department for Tucson, Arizona, (Tucson Water or TW) began delivery of a new water supply: treated surface water from the Central Arizona Project (CAP)—primarily Colorado River water. Putting treated CAP water into the TW distribution system caused a corrosion problem that resulted in colored water (e.g., rusty, red, orange, yellow and brown) flowing from customer taps. Tucson’s introduction of CAP water is a story of mistakes committed at all levels of the utility and by the Tucson City Council. Technical mistakes included not preparing the distribution system to receive a more complex surface water supply. TW was a groundwater utility that relied on about 200 wells distributed throughout the system. Recognizing their lack of experience with treating surface water, they hired treatment plant operators from other utilities to run the new $80 million leading-edge-technology treatment plant. Unfortunately, the same level of focus and preparation was not applied to the aging distribution system, which received, literally overnight, a chloraminated supply to half its customers from a single point of entry. One of the biggest mistakes was not testing the impact of treated CAP water on corroded galvanized steel pipes. There were about 200 miles of this 2-inch substandard pipe in the system. When treated CAP water hit these pipes, the iron corrosion deposits inside the pipes were stripped away causing colored water, taste and odor problems, and damage to home plumbing, appliances and property due to flooding. There was a rush to deliver CAP water and to hold down costs to the detriment of needed studies, which would have shown that raising the treated water pH for corrosion control was the proper approach. Also high on the list of pre-delivery problems was a lack of political will to replace the substandard galvanized and cast iron street mains. 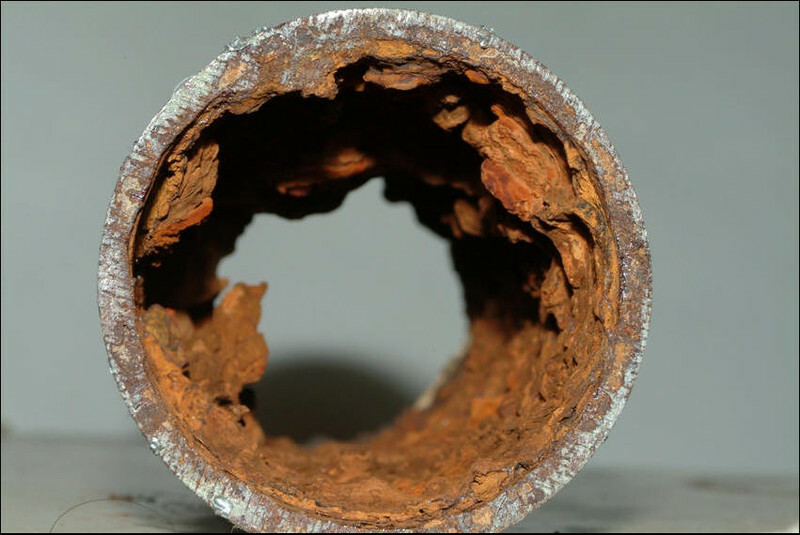 The presence of these substandard pipes made the TW distribution system ripe for a catastrophic corrosion problem due to unsound corrosion control practices. Delivery of CAP water was terminated on September 26, 1994, because of the inability of TW to control the colored water problem and the resulting political uproar. The $80 million treatment plant was shut down and has not been used since. After a series of management resignations and firings over several years, Tucson hired David Modeer as the Director of TW. Modeer and his management team put the utility on the road to recovery. Along with a carefully planned technical program to select the correct corrosion treatment and deal with the taste and odor problems, an innovative public information campaign that also included a public apology for the CAP debacle, began to restore the credibility of TW. Customers were invited to actively participate in determining the future use, treatment and quality of CAP water via such methods as consumer preference research and participation in an extensive bottled water program. Dedication of the CAVSARP facilities renamed Clearwater. After the voters defeated a proposition in 1999 that would have severely limited the ability to use CAP water in the future, TW completed an aquifer storage and recovery project in the nearby Avra Valley. The Central Avra Valley Storage and Recovery Project (CAVSARP) allowed the utility to fully use its CAP allotment and serve a recovered groundwater/recharged CAP water mix that was accepted by TW customers. Tucson Water turned around a disaster into a singular success. Because of its ability to conjunctively use CAP water and groundwater, Tucson is now one of the more drought-resistant communities in the Southwest. Commentary: Marie Pearthree and I are writing a book about what happened in Tucson before, during and after the corrosion problem doomed their new water supply. A wealth of material has revealed previously unknown information related to TW’s problems. The result of these efforts are much-needed lessons for water utilities on how to avoid TW’s mistakes and how to successfully introduce a new water supply. As of this date in 2018, we are just about finished with our first draft. We have been giving papers on what we have found during our research at several venues over the last year. Publication of the book is scheduled for 2019. 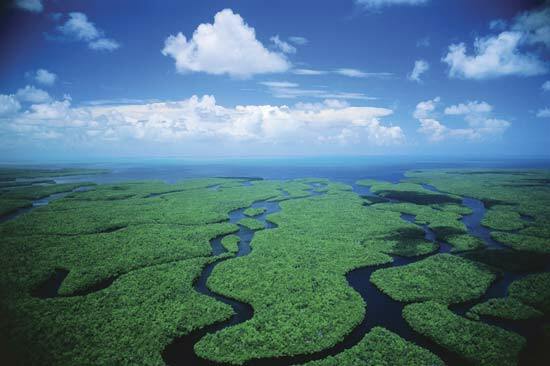 November 4, 2000: New York Times headline–House Approves Plan to Restore Everglades. “In a rare moment of solidarity, the House voted today for a $7.8 billion plan intended to restore the Florida Everglades, a project supporters call the largest environmental renewal effort ever. The legislation now goes to President Clinton, who is expected to sign the bill into law and set in motion a restoration plan that would take nearly four decades to complete. By passing the measure, 312 to 2, House Republicans and Democrats set aside their partisan rancor for two hours this morning and made the Everglades bill their final vote before leaving town to campaign for the Nov. 7 elections. This entry was posted in Year 7 TDIWH and tagged Arizona, Army Corps of Engineers, CAP, Central Arizona Project, Colorado River water, colored water, corrosion, Everglades, galvanized plumbing, groundwater, management failure, Marie Pearthree, pipe, rusty water, Tucson, water, water history, water treatment on November 4, 2018 by safedrinkingwaterdotcom. September 26, 1994: Tucson Shuts off Direct Delivery of Central Arizona Project Water Supply.Corrosive water destroying pipes in a major American city preceded the events in Flint, Michigan by over two decades. On November 4, 1992, the water department for Tucson, Arizona, (Tucson Water or TW) began delivery of a new water supply: treated surface water from the Central Arizona Project (CAP)—primarily Colorado River water. Putting treated CAP water into the TW distribution system caused a corrosion problem that resulted in colored water (e.g., rusty, red, orange, yellow and brown) flowing from customer taps. Tucson’s introduction of CAP water is a story of mistakes committed at all levels of the utility and by the Tucson City Council. Also high on the list of pre-delivery problems was a lack of political will to replace the substandard galvanized and reline the old cast iron street mains. The presence of these substandard pipes made the TW distribution system ripe for a catastrophic corrosion problem due to unsound corrosion control practices. Commentary: At this writing, Marie Pearthree and I are very close to finishing a first draft of a book about what happened in Tucson before, during and after the corrosion problem doomed their new water supply, entitled: Tucson Water Turnaround: Debacle to Success. A wealth of material has revealed previously unknown information related to TW’s problems. The results of these efforts are much-needed lessons for water utilities on how to avoid TW’s mistakes and how to successfully introduce a new water supply. We will be giving papers on what we have found during our research at several venues in 2017 and 2018. Watch @CaptDocMike on Twitter for presentation times, dates and locations. September 26, 1908: 110thanniversary of the first day of operation of the chlorination facility at Boonton Reservoir for Jersey City, NJ. This was the first continuous use of chlorine in the U.S. for drinking water disinfection. In the field of water supply, there were big moves afoot in the state of New Jersey at the turn of the 20th century. Jersey City had suffered with a contaminated water supply for decades causing tens of thousands of deaths from typhoid fever and diarrheal diseases. In 1899, the City contracted with the Jersey City Water Supply Company to build a dam on the Rockaway River and provide a new water supply. 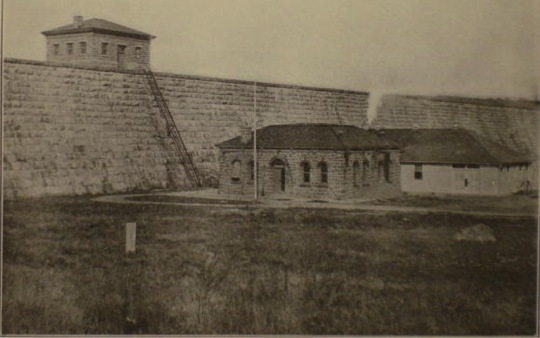 The dam created Boonton Reservoir, which had a storage capacity of over seven billion gallons. One of the company’s employees, Dr. John L. Leal, would have an enormous impact on this water supply and the history of water treatment. Leal was a physician, public health professional and water quality expert. Leal’s job with the company was to remove sources of contamination in the Rockaway River watershed above the reservoir. Water from the project was served to the City beginning on May 23, 1904. When it came time for Jersey City to pay the company for the new water supply, they balked. The price tag was steep—over $175 million in current dollars. Using newly developed bacteriological methods, consultants for the City claimed that the water was not “pure and wholesome,” and they filed suit against the company to get a reduced purchase price. The trial that resulted pitted the water quality experts of the day against one another in a battle of expert witnesses. The opinion of the judge was published on May 1, 1909. In that opinion, Vice Chancellor Frederic W. Stevens said that Boonton Reservoir did a good job on average of reducing the bacteria concentrations in the water provided. However, he noted that two to three times per year, especially after intense rainstorms, the reservoir short-circuited and relatively high bacteria levels resulted. Rather than build expensive sewers that would deal with only part of the bacteria contamination problem (an early recognition of non-point source pollution) Leal and the company attorney argued to install “other plans or devices” that would do a better job. The judge agreed and gave them a little over three months to prove their idea. Leal had decided in May 1908 that it was time to add a chemical disinfectant to drinking water. He was all too familiar with the suffering and death caused by typhoid fever and diarrheal diseases. He knew of some successful instances of using forms of chlorine in Europe, but nothing had been attempted in the U.S. on such a large-scale basis. Leal was convinced that adding a disinfectant to the Jersey City water supply was the best course. He had done laboratory studies that convinced him that a fraction of a ppm of chlorine would kill disease-causing bacteria. In the face of the certain disapproval of his peers and possible condemnation by the public, he moved forward. However, no chlorine feed system treating 40 million gallons per day had ever been designed or built and if the feed system failed to operate reliably, all of the courage of his convictions would not have amounted to much. He needed the best engineer in the country to do the work. He needed George Warren Fuller. In 1908, Fuller was famous for his work in filtration. He had designed an aluminum sulfate feed system treating 30 million gallons per day for the Little Falls treatment plant. On July 19, 1908, Leal left his attorney’s office in Jersey City and took the ferry to Manhattan. In Fuller’s office at 170 Broadway, he hired the famous engineer (undoubtedly on the basis of a handshake) and told him that the bad news was that he needed the work done in a little over three months. Ninety-nine days later, the chlorine feed system was built and operational. Calcium hypochlorite (known then as chloride of lime or bleaching powder) was made into a concentrated solution, diluted with water and fed through a calibrated orifice to the water before it traveled by gravity to Jersey City. The feed system worked flawlessly from day one and continued to operate successfully for all of the following days. Liquid chlorine eventually replaced chloride of lime, but September 26, 2013, marks the 105th anniversary of the first continuous use of chlorine on a water supply—the longest period of water disinfection anywhere in the world. September 26, 1855: The St. James Board of Commissioners of Paving voted 10 to 2 to reopen the Broad Street pump at the urging of local residents. Dr. John Snow had prevailed upon them a year earlier to remove the pump handle after he presented his evidence that cholera deaths were geographically clustered around the well site. Reference: Vinten-Johansen, Peter, Howard Brody, Nigel Paneth, Stephen Rachman and Michael Rip. Cholera, Chloroform, and the Science of Medicine. New York:Oxford University, 2003, 310. This entry was posted in Year 7 TDIWH and tagged Arizona, Boonton Reservoir, Broad Street pump, CAP, Central Arizona Project, cholera, Colorado River water, colored water, corrosion, drinking water, galvanized plumbing, groundwater, Jersey City, John L. Leal, John Snow, management failure, Marie Pearthree, New Jersey, pipe, public health, rusty water, The Chlorine Revolution, Tucson, typhoid fever, water, water history, water treatment on September 26, 2018 by safedrinkingwaterdotcom. Commentary: Marie Pearthree and I are writing a book about what happened in Tucson before, during and after the corrosion problem doomed their new water supply. A wealth of material has revealed previously unknown information related to TW’s problems. The result of these efforts are much-needed lessons for water utilities on how to avoid TW’s mistakes and how to successfully introduce a new water supply. As of this date in 2017, we are finishing up the research and beginning to write some of the chapters. It is hard to predict when we will complete the book, but we will be giving papers on what we have found during our research at several venues in 2018. Watch this space for presentation times, dates and locations. This entry was posted in Year 6 TDIWH and tagged Arizona, Army Corps of Engineers, CAP, Central Arizona Project, Colorado River water, colored water, corrosion, Everglades, galvanized plumbing, groundwater, management failure, Marie Pearthree, pipe, rusty water, Tucson, water, water history, water treatment on November 4, 2017 by safedrinkingwaterdotcom. September 26, 1994: Tucson Shuts off Direct Delivery of Central Arizona Project Water Supply. Corrosive water destroying pipes in a major American city preceded the events in Flint, Michigan by over two decades. On November 4, 1992, the water department for Tucson, Arizona, (Tucson Water or TW) began delivery of a new water supply: treated surface water from the Central Arizona Project (CAP)—primarily Colorado River water. 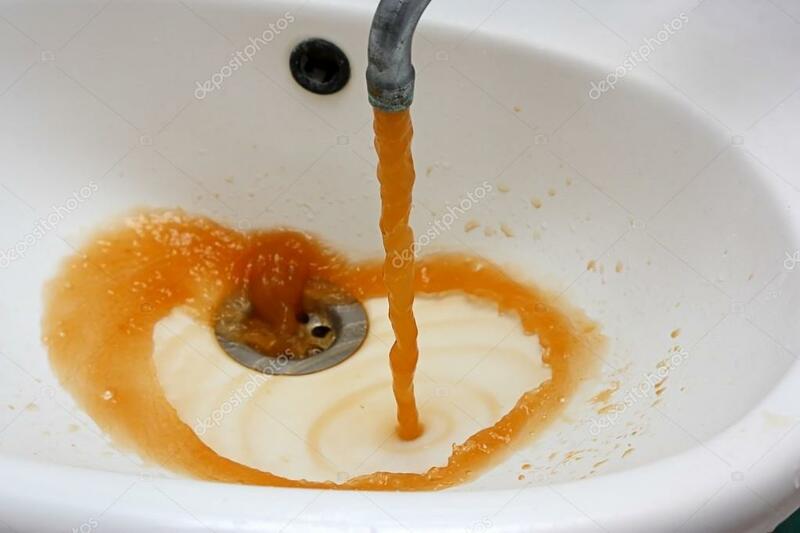 Putting treated CAP water into the TW distribution system caused a corrosion problem that resulted in colored water (e.g., rusty, red, orange, yellow and brown) flowing from customer taps. Tucson’s introduction of CAP water is a story of mistakes committed at all levels of the utility and by the Tucson City Council. Commentary: Marie Pearthree and I are writing a book about what happened in Tucson before, during and after the corrosion problem doomed their new water supply. A wealth of material has revealed previously unknown information related to TW’s problems. The results of these efforts are much-needed lessons for water utilities on how to avoid TW’s mistakes and how to successfully introduce a new water supply. As of this date in 2017, we are finishing up the research and beginning to write some of the chapters. It is hard to predict when we will complete the book, but we will be giving papers on what we have found during our research at several venues in 2018. Watch this space for presentation times, dates and locations. September 26, 1908: 106th anniversary of the first day of operation of the chlorination facility at Boonton Reservoir for Jersey City, NJ. This was the first continuous use of chlorine in the U.S. for drinking water disinfection. Broadwick [formerly, Broad] Street showing the John Snow memorial and public house. This entry was posted in Year 6 TDIWH and tagged Arizona, Boonton Reservoir, Broad Street pump, CAP, Central Arizona Project, cholera, Colorado River water, colored water, corrosion, drinking water, galvanized plumbing, groundwater, Jersey City, John L. Leal, John Snow, management failure, Marie Pearthree, New Jersey, pipe, public health, rusty water, The Chlorine Revolution, Tucson, typhoid fever, water, water history, water treatment on September 26, 2017 by safedrinkingwaterdotcom.